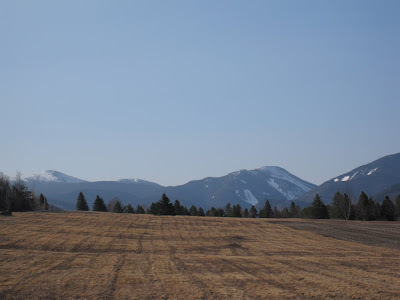 I started this blog primarily to discuss what it is like to live or own property in the Adirondack region of upstate New York; to enjoy the Adirondack lifestyle. An important aspect of my mission is to make information available to those who might like to experience this lifestyle by purchasing property and/or businesses in the Adirondacks. Although I admittedly spend a lot of time raving about and reporting on the skiing and outdoor fun, and how great it is to live here, I occasionally offer interesting and I hope, valuable information. Compared to the housing market in the rest of the country, the Adirondacks are holding stable. We have not seen the precipitous drops in home value, but activity has slowed considerably from the gang buster days of a few years ago. Because of the limited inventory of private land available in the Adirondack Park, we usually have an inherent, limited inventory of property available for purchase. When people have money to purchase property, we don't have much available, so what is available becomes more valuable: the basic economic concept of supply and demand. During our 'bubble,' when people like the executives at financial firms had bonus money to spend, real estate agents in the Adirondacks didn't have enough pieces of paradise to sell. Property was actually being sold at higher than list price. It is the the general consensus that things have slowed down considerably. Inventory is higher than normal, but we are not seeing the high number of foreclosures so prevalent in other areas. As a matter of fact, I only know of a few, and the properties went in a flash to some very happy buyers. Obviously, the bottom line is this is a good time to buy property anywhere. Inventory is high, prices are reasonable, interest rates are low and the government is offering some excellent incentives to help stabilize the housing market. Of particular note is the first time home buyer tax credit. This new program offers first time home buyers up to a $8,000.00 tax credit. This is all great news for anyone interested in getting in on this Adirondack paradise. The even better news is nature's eye candy is as astonishingly beautiful as ever. I was on my morning commute yesterday, heading to my office at the Prudential Terry Horrocks Real Estate Agency where I am an agent, when I was distracted by today's featured view. Naturally, I was wishing I could be in those mountains skiing (Marcy's on the left) instead of photographing them. But as I drove away, I was grateful that I could witness something so lovely on my way to 'work.' Let me know if you'd like to give it a try.